I have been sharing with you off and on, some stories of real Christians who lived after Bible times who exemplify faithfulness to Jesus, to encourage us and to challenge us to be faithful in our own life situations. 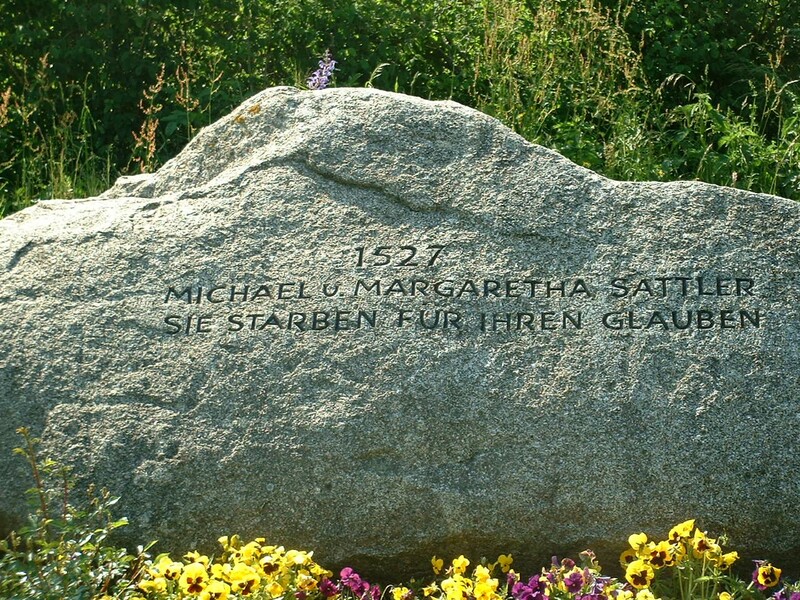 Today I am sharing with you about a married couple who faithfully served the Lord – it’s the story of Michael and Margaretha Sattler. Their story takes place in Europe in the early 1500’s. During their lives the Protestant reformation began and many Christians were seeking to follow Jesus in ways that went beyond what they had been taught. Not much is known of Michael’s early life. He was born in Staufen, Germany, just south of Freiburg. At some point Michael entered St. Peter’s Benedictine monastery. He attained the status of Prior in the monastery, which made him second-in-charge. He was thus considered a part of the upper class of his day; a “lord.” He had status and respect. From what we know, he was a serious and devout monk who took part in a spiritual renewal at his monastery (the inter-Benedictine Bursfeld reformation). He might have even been in charge of this. In mid-1525 Michael left the monastery. It had been captured by Protestant-ish peasant revolutionaries, some of whom were Anabaptists, that is, people who rejected infant baptism. They were demanding economic justice from their lords for over-taxation and oppression and were doing so on the basis of a call to live by what the Scriptures teach. It’s possible that Sattler, as Prior, was the one these revolutionaries presented their claims to. He must have become a sympathizer to their cause, because after leaving the monastery, he shows up again in the Waldshut area, where many of these revolutionaries came from. Sometime between May 1525 and May 1526 he and Margaretha were married. We don’t know how they met, but she may have already been a part of an Anabaptist group.He learned the trade of weaving to support them in their new life together. 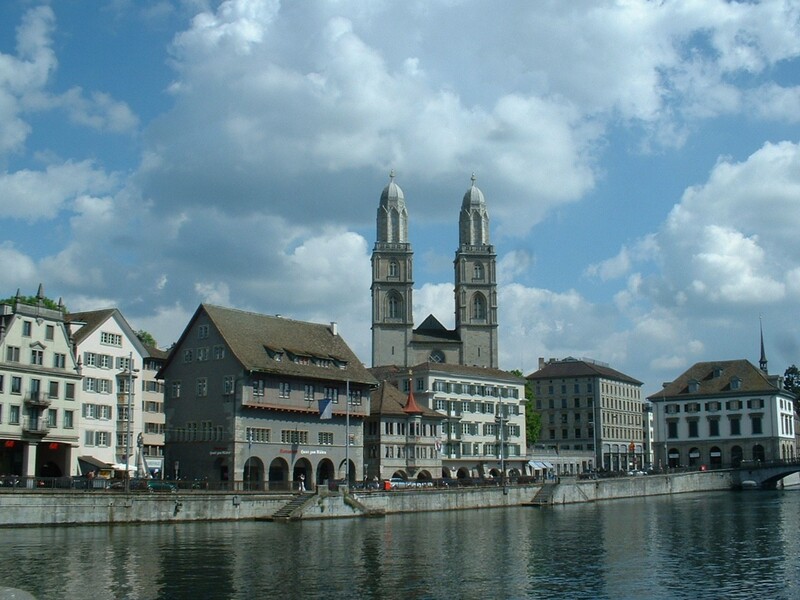 In November of 1525 he attended the famous infant baptism disputation in Zurich (November 6-8). He most likely went simply to hear the arguments on this topic. He was eventually arrested by the Protestant Zurich authorities who opposed Anabaptists. They perhaps knew that he was sympathetic to them. He was released on November 18th after he swore to leave the region. By June 1526 he was baptized as a believer, instead of simply being infant baptized. 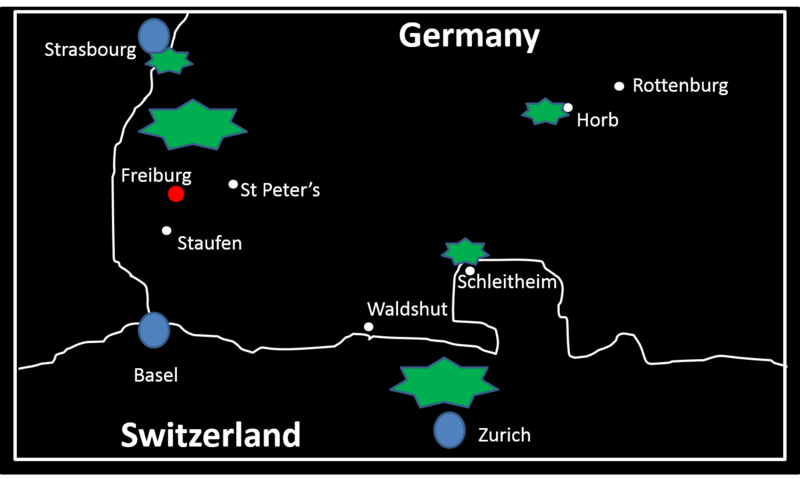 Not long after his baptism he began a ministry of evangelizing in the area north of Zurich. 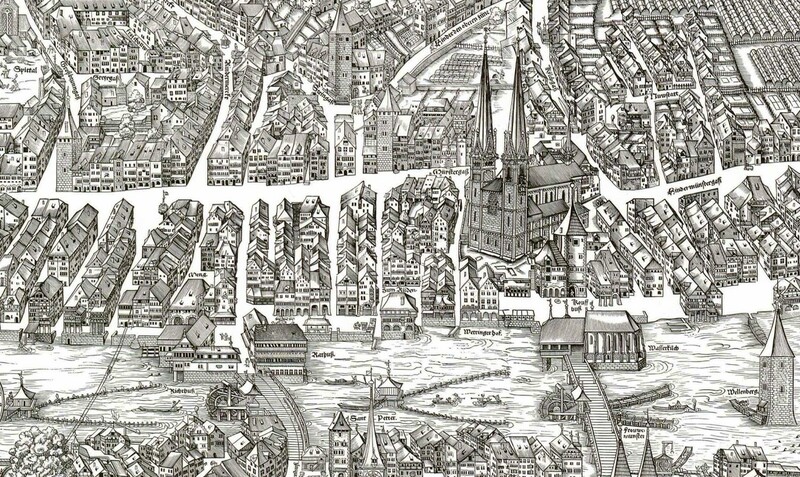 Then in late 1526 he spent time in Strasbourg. He met with various Anabaptist groups and also with the local Protestant reformers there (Capito and Bucer). Protestants at this time despised Anabaptists because of their views, and because most were uneducated and unsophisticated. Michael, however was on their social level and they came to respect him. He called on them to release the Anabaptists they had imprisoned. 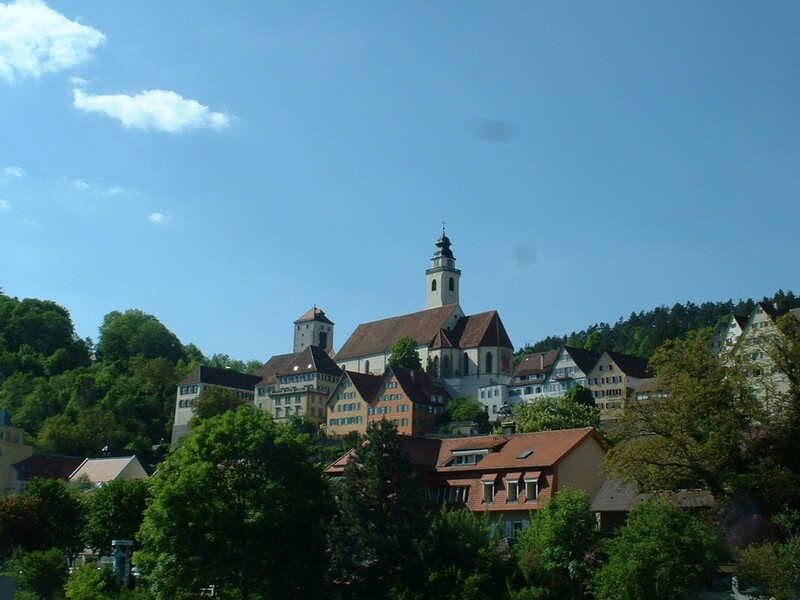 Next he went to Lahr, north of Freiburg, to evangelize (January-February 1527). Then he went to Schleitheim for an important meeting, and then he went to Horb to be the pastor of the Anabaptist congregation there. 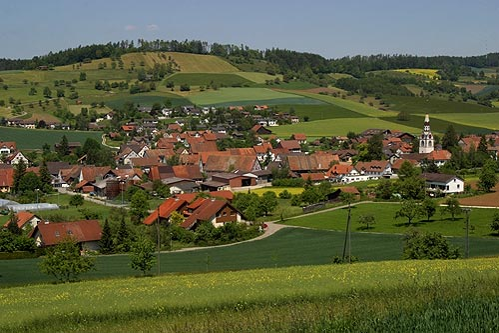 Because of disagreements among the Swiss brethren Anabaptists and because so many of the early leaders were dead, (the average lifespan of a leader was two years because of fierce persecution) they met together secretly in the village of Schleitheim. Michael gave leadership to this important meeting. He wrote the Confession of faith that summarized what these Anabaptists had come to an agreement on relating to baptism, church discipline, the Lord’s Supper, separation from the world, calling pastors, loving enemies, and swearing oaths. This document, the Schleitheim confession, has had enormous influence on Anabaptists and Mennonite even to this day, as well as other Baptist groups. After the meeting Sattler was active in the town of Horb giving leadership to an Anabaptist congregation there. 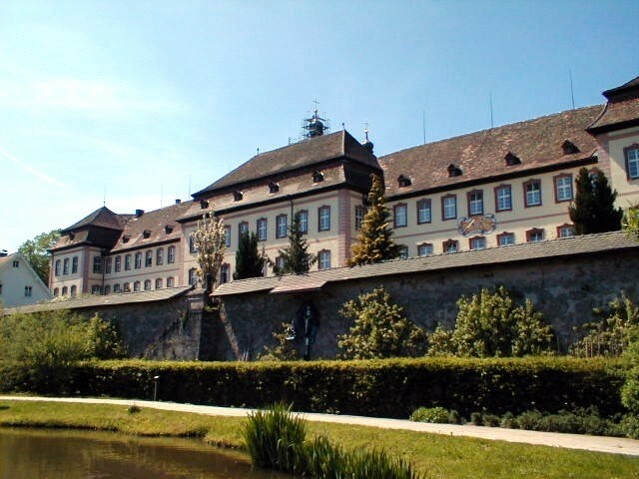 In March 1527 Michael and Margaretha were arrested in Horb just a short time after the Schleitheim meeting, along with some others. They were moved to Binsdorf to the prison tower. Here Michael wrote a letter to his congregation that was shaken and afraid of persecution – reminding them to be faithful and not give up. 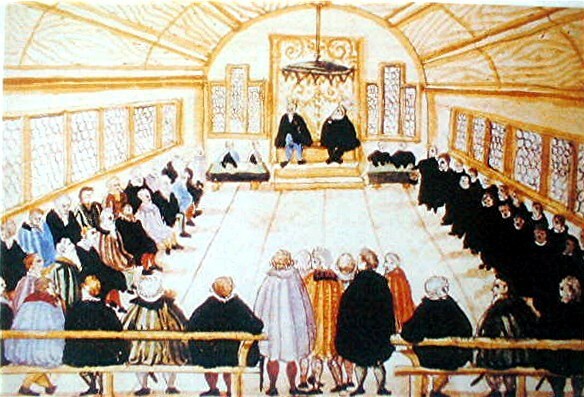 The trial took place in Rottenburg on May 17-18. They were charged with holding various Anabaptist ideas: For instance that only believers who choose faith for themselves should be baptized; the Lord’s supper is a symbolic meal shared among believers; and not resisting evildoer or swearing oaths as Jesus taught in Matthew 5. The sentence was given – “Michael Sattler should be given into the hands of the hangman, who shall lead him to the square and then cut off his tongue; then chain him to a wagon, there tear his body twice with red hot tongs; and again when he is brought before the gate, five more times.” (p. 75) After this torture, he was burned alive at the stake on May 20th. Others among the group recanted. 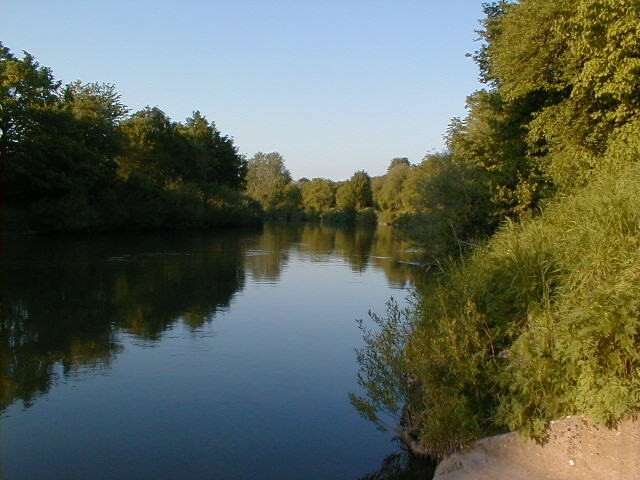 But Margaretha remained steadfast and was drowned in the Neckar river two days later, refusing to recant or even to receive a pardon from a powerful woman. They had only been married for, at most, two years, maybe just one. He was a leader and pastor for less than a year. 1. They lived their lives by the simple words and example of Jesus. In Matthew 28:20 Jesus said to the apostles “teach them to observe all that I have commanded you.” They sought to be true to this word of Jesus to observe all that he had commanded them. they had a ministry of preaching the gospel and evangelizing, as Jesus commanded. Even though this could get you killed in their day. they helped build and lead a church made up of believers, as Jesus commanded. And they did this even though this could get you killed in their day. and they loved their enemies as Jesus commanded, even though they were trying to kill them, and eventually did. They didn’t listen to fancy explanations about how Jesus didn’t really mean what he said; explanations that were given to make people’s lives easier in this world. They were focused on the world to come. At their trial they asked to be shown from the Scriptures where they were wrong in all this. The Scriptures guided their lives. Do you live by the simple words and example of Jesus? Even when it makes you stand out or not fit in? 2. They took up their cross and followed Jesus. In Mark 8:34 Jesus said, “If anyone would come after me, let him deny himself and take up his cross and follow me.” They gave up everything to follow Jesus. He gave up his status as a lord. They gave up their comfortable lives to serve Jesus; to be in constant danger, on the run and in hiding. They gave up their life together as a married couple. They could have gone off and hid and lived long lives. But they felt compelled to serve Jesus and teach his way. What have you given up to follow Jesus? How have you denied yourself? How have you sacrificed and accepted suffering to follow him? 3. They faithfully bore witness before hostile authorities. Much effort was put into getting them to recant, and many who were with them did. But they remained faithful. They saw their imprisonment as an opportunity to bear witness to Jesus with their words and with their blood. How are you bearing witness for Jesus? Are you doing this in your much easier circumstances of life? If they can do this while suffering death, can we be more bold when the most that will happen to us is that people will make fun of us? From time to time I want to share with you stories about Christians who lived after the time of the Bible who can both teach us and encourage us to live more faithfully ourselves. And in each case I want to show how their lives embody specific aspects of faithfulness from the Scriptures. He was born here in 1498. He was the illegitimate child of a priest at the main church in Zurich, the Grossmunster. It was not uncommon at this time for priests to have concubines. 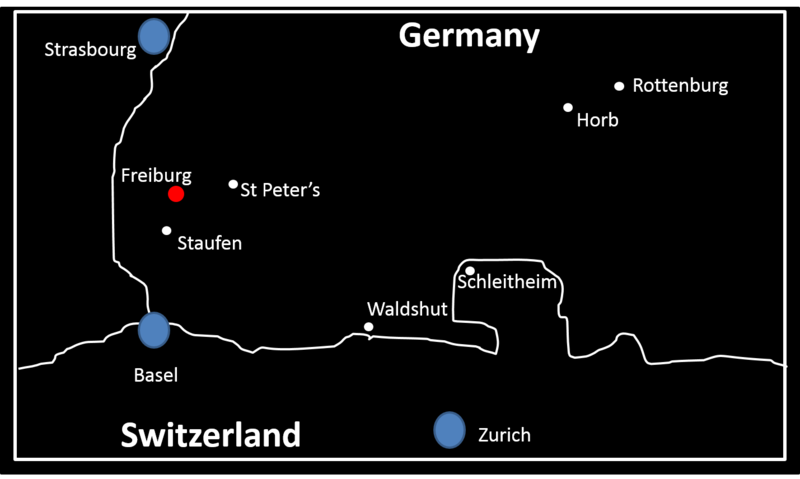 He was in his early 20’s when the Protestant reformation began to gain a foothold in Zurich. And he became very involved in it, working with the Protestant leaders and attending bible studies. He had studied at the University of Paris and knew Latin and Greek, and he learned Hebrew at this time. He was on his way to being appointed as a scholar and teacher of Hebrew in what would become the University of Zurich. A reform of the Protestant reformation? But he, along with several others, became disillusioned with the Protestant leaders of Zurich. 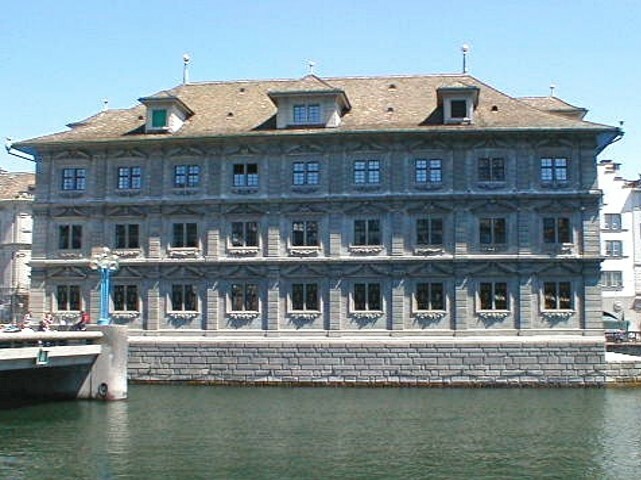 Although they talked about having a church based on the New Testament, they constantly allowed the city council to determine what, if anything, would change in the church of Zurich. The State, even though made up in part of unbelievers, was in charge of the church and its reformation. 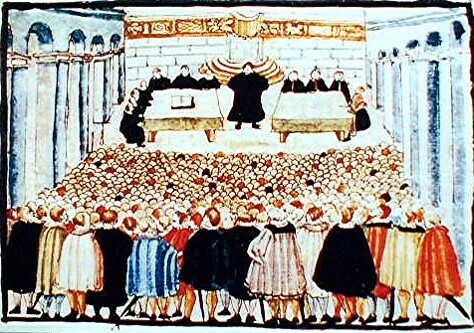 The first public break between Mantz and these leaders came in October 1523 when the city council called for a debate about the Lord’s Supper, or when to change from a Catholic service to a Protestant one. Mantz argued that when you know what is right based on the Bible, you need to act on it, not wait. The Protestant leaders deferred to the conservative city council and decided to wait to make a change. Mantz and the others had been meeting together in their own bible study for a while, often in his mother’s home. They went ahead and began to observe a simple Lord’s supper among themselves. The controversy came to focus next on infant baptism. The radicals asked, where is this in the Bible? The city council called for a debate on this topic which took place on January 10 and 17, 1525. Mantz was a spokesperson for the radical group. Now, a State church needs infant baptism to bind together everyone in one faith in their territory. Mantz and the radicals were coming to see that the church should only be made up of people who choose the Christian faith for themselves. So these are very different ideas of what the church should be. The radicals argued that there is a pattern in Scripture, which is that faith and repentance come before baptism. The disputation, of course, was given to the Protestant leaders by the council since they worked hand in hand. But this wasn’t all. On January 18th, the council ordered all parents to have their children baptized within a week. (One of their group had just had a daughter four days before). And on January 21st – Mantz and the others were silenced, and their meetings banned. That very evening the group of radicals gathered at Mantz’s mother’s house and received from each other believer’s baptism, thus starting a new Christian group. 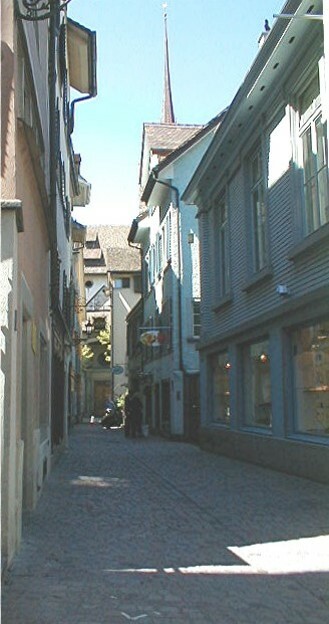 The next day the group fled to the village of Zollikon, just south of Zurich. And they began preaching and baptizing people. Mantz baptized a farmer named George Shad, who himself later went on to baptize 40 more people. Things really took off and people began to respond. Also in Zollikon, Mantz baptized Hans Bruggbach. An account of this said that after a Bible study, Hans “stood up, wept and wailed what a great sinner he was and asked those present to pray for him.” After he confessed his faith, Mantz baptized him. Right after this another man, Jacob Hottinger stood up and asked to be baptized and Mantz baptized him. 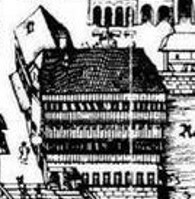 This became the first Anabaptist congregation. Within a week the authorities cracked down. Mantz was arrested along with many others. He was put in prison on a diet of mush, water and bread until he had a change of heart. But he escaped from prison and went to other areas outside of Zurich to minister. He was arrested again in July and was in jail for 3 months. But then he was released and began to preach and baptize again. Once again he was arrested and brought to Zurich. As a prisoner at this time he took part in one final debate, November 6-8 in the Grossmunster. Almost a thousand people came. After this he was sentenced to life in prison, and isolated from outsiders. In the Spring the council decreed the death penalty for anyone who baptized outside of the State church. 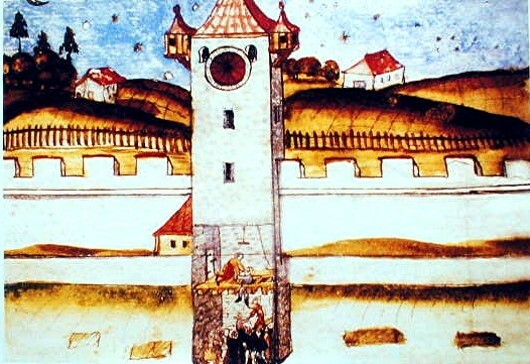 In March (1526) he escaped through a window that was left open in the prison tower. For the next nine months he was constantly on the run. He held secret meetings with believers in fields and forests. He taught them the Scriptures, baptized and celebrated a simple Lord’s supper. His final arrest was in December of 1526. 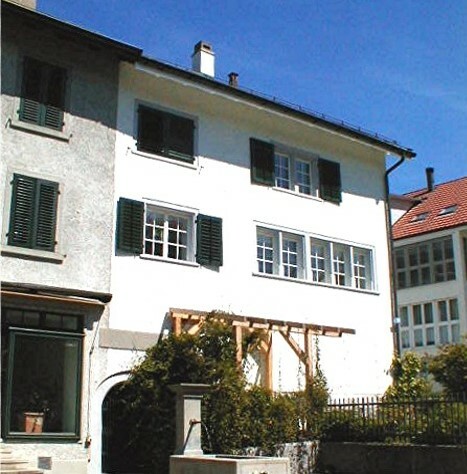 He was sentenced to death by Zurich authorities. He was killed January 5, 1527 in the Limmat river at the age of 29. 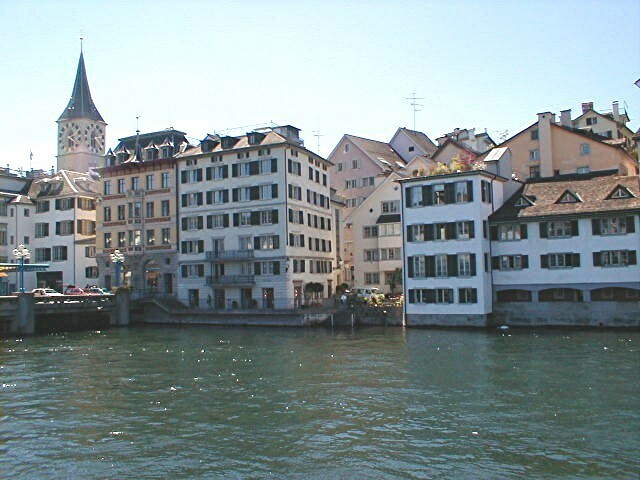 He was taken from the Wellenberg tower situated in the Limmat river (above – the bottom right corner) by boat, to the east bank by the fish market near the city council building. Here his sentence was read. 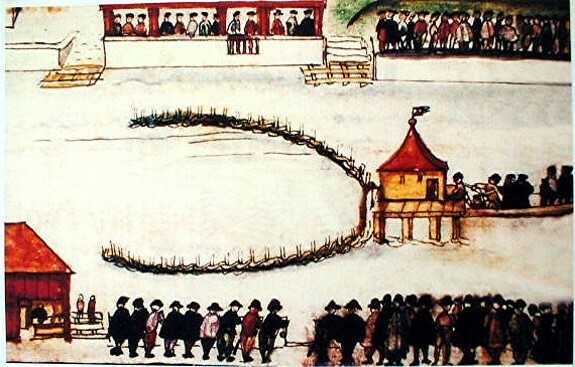 Then he was taken past the council building to the slaughterhouse where he was put into a boat and taken out to a fisherman’s hut (above – the bottom left corner). As he made his way he praised God that he was about to die for the truth. A great crowd watched. And his mother encouraged him to stay true. They bound his hands over his knees with a rod to keep him immobile. His final words were, “Into Thy hands, O Lord, I commend my Spirit.” Then they pulled him off the platform and he drowned at 3:00 in the afternoon. at this time everyone thought that everyone in Europe was already Christian. he was being told that he was a heretic for simply following the New Testament. it was against the law of the land. The challenge is this – in our situation where none of these obstacles exist, why aren’t we more active in fulfilling the great commission? 2. He was not afraid of persecutors. Jesus said in Matthew 10:28, “do not fear those who kill the body, but cannot kill the soul.” And he was fearless. He was constantly breaking the law in order to spread the word. And even when he knew near the end, that if he were caught he would die, he kept going. This is a challenge to us – he carried out his ministry under constant threat of arrest and death. But the worst we have to fear is that we will be ridiculed and dishonored. Yet we often allow this fear to stop us. He hated his earthly life in comparison to his love for Jesus when he was killed for his faith as a young man. He could have recanted. He could have sought a way out and changed course. And he hated his earthly life in comparison to his love for Jesus when he gave up comfort and status to become an evangelist on the run. He could have taken a wife and had kids and been honored as a professor and outstanding member of the Zurich community. He could have enjoyed all the comforts and privileges that Zurich has to offer in that day.But he lost his life, he gave all this up for faithfulness to God, and for a life in the world to come. This is a challenge to us. What have we given up for Jesus? Even short of physical death, what have we hated of our life in this world; what have given up to serve Jesus? We should not think that if there were suddenly persecution in our context and our lives were on the line that we would out of the blue give up our physical lives for Jesus if we have not already been giving up our lives in service and sacrifice for Jesus more generally. If we are not taking up our cross and dying every day, we will not be prepared to literally give up our lives. Mantz had already given everything up. He had sacrificed all for Jesus. That is why he could be joyful even as his physical death approached. Alright, we have been looking at the Sermon on the Plain in Luke 6. And last week we covered the section on Dealing with Enemies. Jesus teaches us here to love our enemies. He tells us, just as you want what is good, so give good to others – whether they deserve it or not. He also told us that living by ‘an eye for an eye’ gets you no reward, for even sinners do this. But living by love for enemies gets you great reward. That’s because the heavenly Father loves his enemies. And since, ‘like father like son,’ you show yourself to be a son of his, that is, an inheritor of his blessings. Last week I needed to spend the whole time working with the text trying to lay out what it means. So this week I want to get more into some of the practical realities of loving enemies. I want to do something a little different and tell you some stories and then draw out some lessons I have learned. We had been in our house for several years when new people moved in behind us. We lived on a flag lot, so the neighbor’s property was surrounded by our house and other church property. As soon as they moved in they started making claims that a part of our driveway was actually their land. And it got worse from there. We had a tree on the border that needed to come down. A part of it had fallen onto our house the last winter in an ice storm and it was diseased. So we told them, but they became hostile. They wanted the tree to stay. In fact, they claimed it was on their land, along with a part of our backyard. He had anger issues, to say the least. He also liked his alcohol which made things worse. A police man who was later involved in an incident called him “Mr. Testosterone.” He was abusive and a bully. And if anything, I thought she was worse. At one point she was hanging over the fence, taunting and insulting me and the church as I worked in my backyard. Anyway, I had a trustee over for dinner and told him about all this since our house was owned by the church at this time. I had to go talk to the neighbor about some issues, so we both went over to his house. He went nuts. I was nose to nose with him, kind of looking down on him because I was taller. And he was just screaming and threatening. My trustee and I calmly walked away. At another point, when I wasn’t home, my wife engaged him about the tree and at that point, full of alcohol, he threatened to shoot her in the head. That’s when the police were brought in to try to talk some sense into him. Well after the lawyers were brought in an agreement was made whereby the tree would come down and the church would survey the border and put up a fence (which we wanted). I have to admit it was funny. After the surveyor was done I happened to see the neighbor wife come out to see where the stake was put. She was standing on it looking out beyond it into our yard, thinking it was hers. But, of course it wasn’t. The border was pretty much right where we thought it was. It was also sad in a way. The truth is that they had two structures that were too close to the border, without a variance. Although we never required it, it was a bit surreal to see him one day with a chainsaw cutting a part of an overhang off of his house – about four by twelve feet, because it was too close to our driveway. #1. It’s really hard to love enemies. It doesn’t come naturally. When someone harms me, especially if there’s no cause, I get angry (not as much as I used to thankfully). And there is a part of me that wants to strike back – harm for harm. I want to show them how wrong they were and have them feel some of what they gave to me. So for me, to love enemies requires God to be working in me. Because there is nothing in my flesh that wants to do this. And I am guessing that this is true of most, if not all of you. #2. If we want to overcome evil with good we have to deal with our anger. Romans 12:21 says, “Do not be overcome by evil, but overcome evil with good.” We are not to let someone’s evil deeds to us, change us so that we do the same thing back to them. That’s what it means to be overcome by evil. Rather we are to overcome evil with good, by returning good for evil. So all through out this (it went on for months) I had to learn to give my anger over to God. Otherwise I would have been right there with him ‘in the flesh’ screaming and threatening and worse. I had to trust that God would take care of the wrong that was done to me. What I learned is that when you do this, and I had to do it daily there for a while, it frees you up to focus on doing good and being Christ-like, which is our job as Christians. Instead of focusing on getting even, I could give mercy. This was a good thing because I learned later that after provoking previous neighbors he had tried to sue them for their responses. #3. Loving enemies is different than nonresistance. I remember that some in the congregation said that if the neighbor wanted a part of the backyard, it should be given to him, under the idea that we are not to resist the evildoer, but yield and even give more than he asks. This didn’t seem right to me. And, of course, in this case he would have asked for the whole property. So I really began to struggle with these texts. What do they mean in this situation? What I came to over the next few years was a clearer understanding, I believe, of the context of nonresistance – as I said last week. It has to do with enemies who are also authorities. And so what should guide my behavior in this kind of a situation is simply the command to love and do good and to pray for my neighbor, which I did. And also, if love is the standard, not nonresistance, then I have a great deal more freedom in how I respond to my neighbor. As long as I also act with love toward him. #4. God can intervene on our behalf. Romans 12:19 says, “Beloved, never avenge yourselves, but leave it to the wrath of God, for it is written, ‘Vengeance is mine, I will repay, says the Lord.’” God can and does act for us many times even now, when we refrain from acting ourselves in the flesh to get even. I believe this happened in this case. First of all the neighbors moved away not long after the tree came down. And then I heard from a former friend of his that he had a stroke that paralyzed one side of his face. And his doctor told him he needed to calm down for his own health’s sake. We found out that he had moved from house to house fixing them up and selling them, and also harassing neighbors wherever he went. We certainly hoped that this would put a stop to it. (I have changed some things in this story to hide “Fred’s” identity). I met Fred in church one day. We hit it off pretty good and he was interested in the Bible and identified himself as a Christian. His was a sad story – mental illness and time in jail. Later Fred became angry with the church, and he focused his anger on me and one other person in the church. His demeanor changed, like he was a different person. As I understand it, he was off his medications. Once he came to the door of my house and was pounding on it – obviously angry. I decided to go out and talk with him, but locked the door behind me. He was making various threats. Stacey was inside and she decided it was time to get the police involved. We had talked about this before as an option. Another time he showed up at church during Sunday school, high, playing with a knife he had brought along in a menacing way. My goal was to get him away from the church, so I asked him if he wanted to go for a ride and talk. And so we did. I drove him far away and then dropped him off near a family member’s home. #5. Love and harm are not always a contradiction. I believe that what Jesus forbids to us is non-redemptive harm. This has to do with revenge, retribution, pay back or an eye for an eye. It’s ‘non-redemptive’ because it is meant only to hurt and punish. Redemptive harm, by contrast, has to do with causing harm to the person for their greater good, or at least with their best interests in mind. This could be called tough love. I always use the example of a doctor that amputates a leg to save a life. This is different than someone who just cuts off your leg! In this case we called the police. My aim was to get him a psychological evaluation and hopefully get him back on his meds. That isn’t what happened – they just held him for 24 hours. But even then, the situation was stopped. And if he had physically assaulted me I would have sought to restrain him, even if it meant causing him pain. Based on this, this is what I believe: If I’m walking in God’s way, I’m not going to die unless God allows it. If I have someone with a knife at church or threatening me at home – I know that it’s not up to them if I live or am hurt. It is up to my Father in heaven. This frees you up to say and do what you need to, to address this situation. #7. Love will never let me kill someone. This was certainly true with Fred or my neighbor. No matter what they did, I would not be able to do this because I am called to love them. But this is also why I teach that Christians should not participate in war. There are many issues involved in this, of course, but for me only one is decisive. If love means what the Bible says it means – to give good to others, and I am supposed to love everyone including my enemies, then how can I kill someone and still be faithful to Jesus? How can I both destroy someone and love them at the same time? Even if the government tells me to, I have to refuse. Because as Peter said, “we must obey God rather than men” – Acts 5:29. #8. Always be open to reconciliation. Luke 17:3 says, “If your brother sins, rebuke him, and if he repents, forgive him.” We became good neighbors with the former friend of our hostile neighbors, even though he was there standing by as threats were made against us. Also, Fred and I did reconcile. His anger subsided and he apologized. I didn’t see him as much, but talked to him from time to time when he stopped by the church. Last I heard he was doing better and I am grateful for that. Finally, and not connected to these stories – #9. This teaching isn’t just for “enemies.” Several of you mentioned after last week’s message that you weren’t sure who your enemies are today. In general an enemy is anyone who harms you or tries to harm you. But even beyond this sometimes it is our spouse who does something that hurts us, or a child, or a friend or a church member. But we would not say they are “enemies.” So in some cases it is best to drop the word enemy, but still apply this teaching. In these situations as well, don’t respond in kind. Always give what is loving and good to the other – whether they deserve it or not. When your spouse says something hurtful, don’t simply say something hurtful back. Seek to return good. Deal with the issue in a kind way. When your child is misbehaving, don’t discipline them in anger as payback. Give them something good – loving discipline. When someone cuts you off on the road, don’t transform into a vigilante. Return good and be kind. It’s natural to highlight more dramatic examples when we talk about returning good for evil. But these more common examples may well be harder to live out – day in and day out.